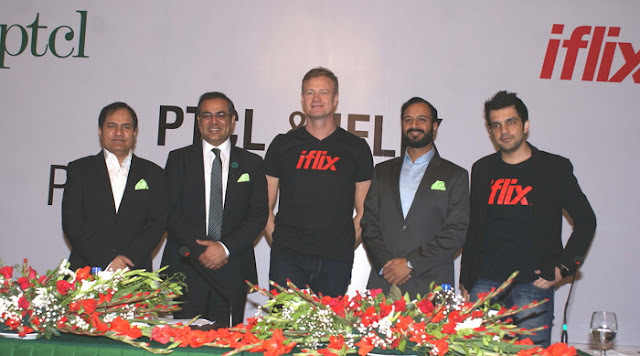 Pakistan Telecommunication Company Limited (PTCL), the country’s leading ICT services provider, has announced its collaboration with iflix, the world’s leading Subscription Video-on-Demand (SVoD) service for emerging markets. iflix, in conjunction with PTCL, are pleased to offer all PTCL broadband subscribers (4 Mbps and above) and Smart TV customers unlimited access to its world-class service for 12 months. The announcement was made at a joint press conference held in Karachi which was addressed by senior executives of PTCL and iflix. PTCL’s Chief Commercial Officer, Adnan Shahid said on the occasion, “We want our customers to enjoy quality entertainment through PTCL Smart TV and our broadband service. Our partnership with iflix will allow our customers to stream international and Pakistani content at their convenience whenever and wherever they want. 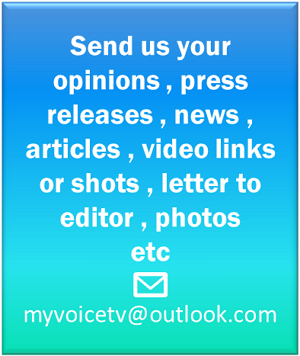 We are committed to be the preferred digital lifestyle partner of our customers and will work towards bringing more content and entertainment platforms in the future as well”. With access to iflix, PTCL subscribers can watch a vast library of thousands of first-run exclusive shows, award-winning TV series, blockbuster movies, popular local and regional content, children’s programs and much more. They can download TV shows and movies to any phone, tablet or mobile device and even watch offline, when not connected to the Internet. PTCL customers will be able to share their iflix subscription with family or friends and watch different shows on two different devices at the same time. PTCL’s partnership with ‘iflix’ is a testament to its commitment of providing high-quality digital entertainment to its subscriber base through its high-speed, low latency DSL service, available in more than 2,000 cities and towns across the country with the most attractive high-speed broadband packages. PTCL is focused on constantly delivering a superb value proposition to its valued subscribers and its Smart TV and 4 Mbps and above customers will now be able to sign-up with ease via www.iflix.com to unlimited ‘iflix’ content for one year. Subscribers can also download the i’flix mobile application from Google Playstore/App Store to stream the content of their choice on smartphones, tablets, laptops or TV sets. Users will additionally be able to download their desired content to their mobile device for offline viewing. iflix offers premium TV content across a range of genres through a portfolio that includes Hollywood, Bollywood, regional and local programs. The renowned streaming service has signed content partnerships with major studios and distributors such as Warner Bros, Metro-Goldwyn-Mayer (MGM), Fox Studios, Paramount Pictures, Walt Disney, and Primeworks.